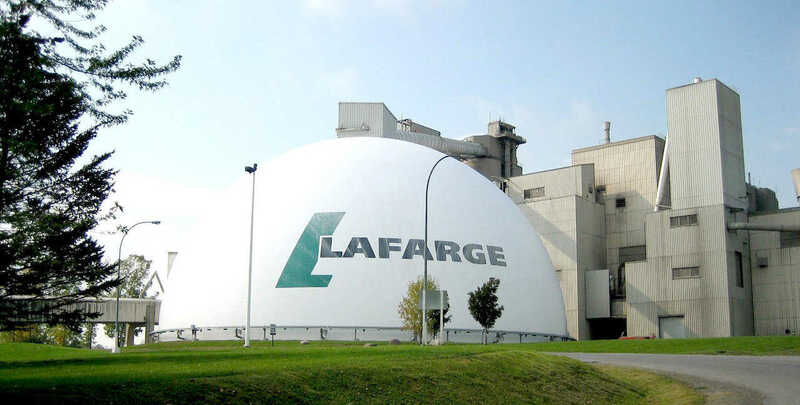 Lafarge Cement Plant — Located in Ontario, Canada, Lafarge’s storage dome can hold 40,000 tons. 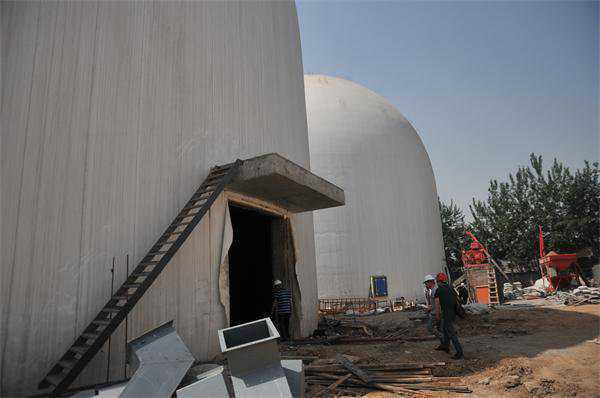 All manner of products, goods or items can be safely maintained in a Monolithic Dome bulk storage: grains, fruits, vegetables, meats, coal, fertilizer, pesticides, frac sand etc. We can help you design a storage unit or units specifically fitting your needs. Generally, such a facility can be constructed and operated more affordably than other types of structures, similarly sized and equipped. When it comes to state-of-the-art equipment for moving, loading and unloading stored goods, we know what works the best and is affordable. 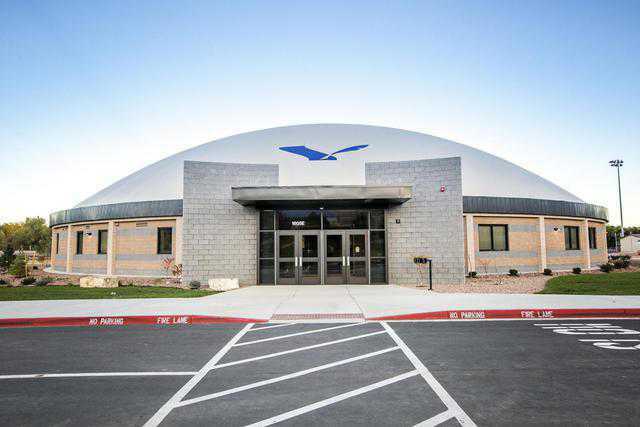 We also know how to equip a storage dome with air conditioning and a programmable, worry-free thermostat system that can economically maintain the necessary temperature — whether that’s cool, cold or freezing. 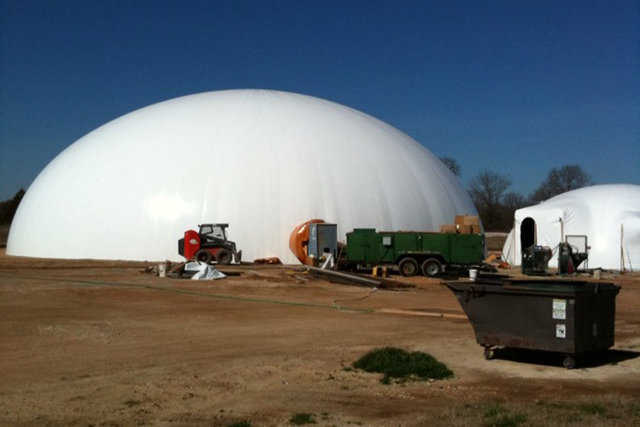 Monolithic Domes are strong, durable and safe. They can survive tornadoes, hurricanes and earthquakes. Their concrete shells cannot burn, be eaten by termites or rot. 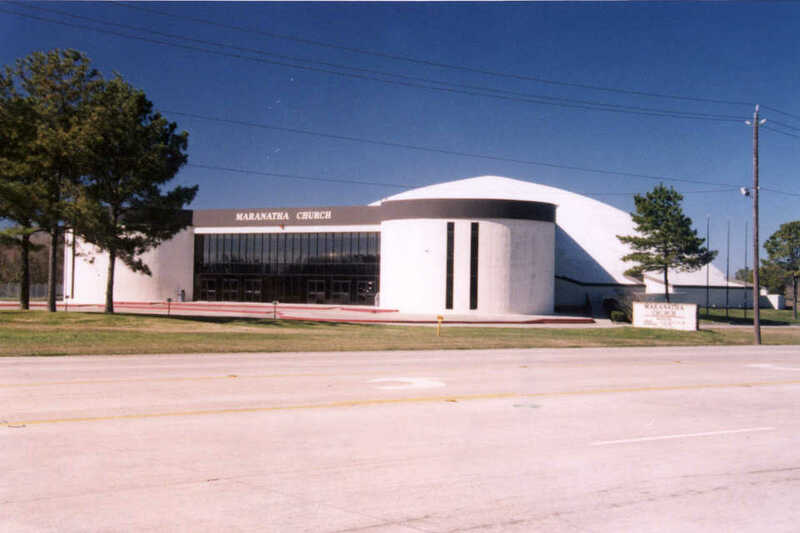 Click here for a Preliminary Concept Evaluation. 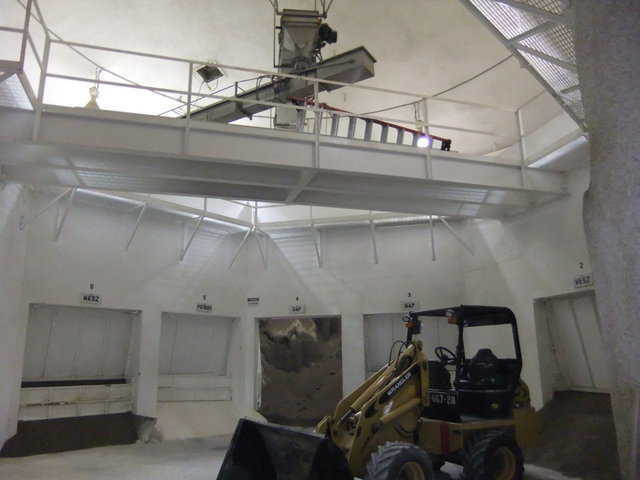 Hawaii Cement — This cement storage dome is located in Kapolie, HI. 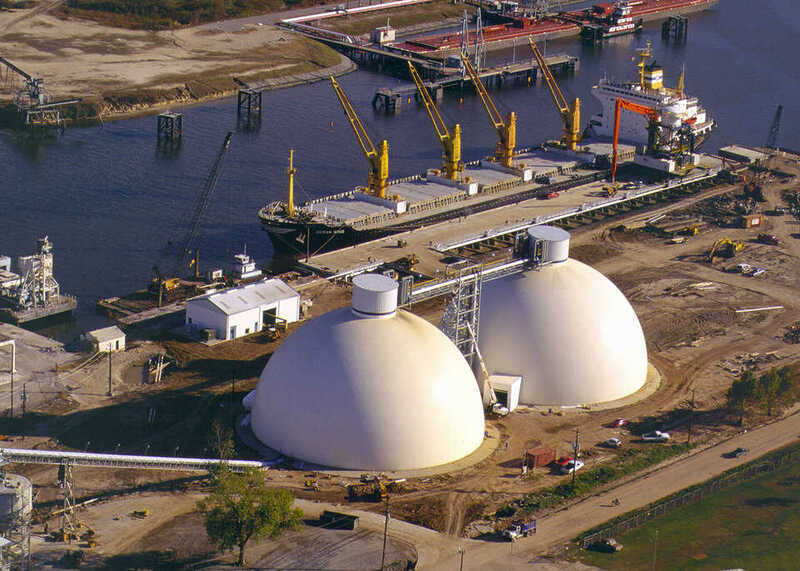 North Texas Cement — North Texas Cement’s storage domes in Houston, Texas holds 38,500 tons of cement in each of the 150-foot diameter by 83-foot tall domes. 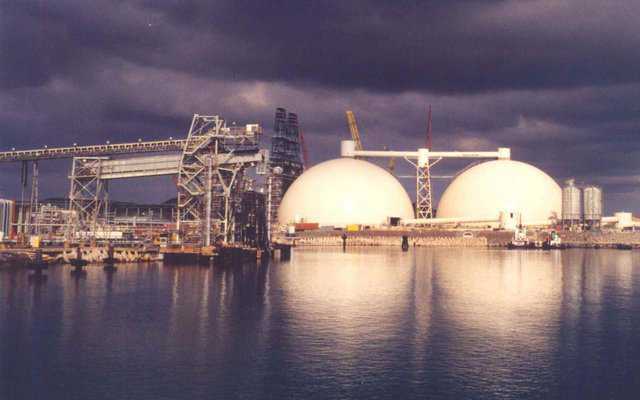 Your dollar buys more when you invest in a Monolithic Dome bulk storage facility. Not only can you get exactly what you need for less, but you can get it designed and built by experienced, reliable and reputable professionals. 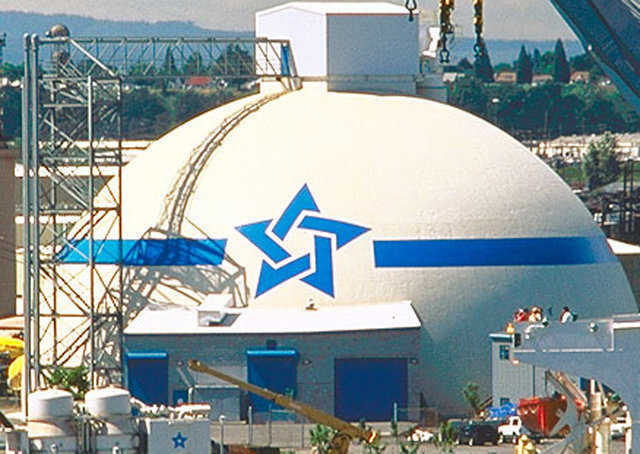 Monolithic Constructors Poland (MCP) has started construction on three large fertilizer storage domes in Estonia, a former Soviet state in the Baltic region of Northern Europe that, unlike many countries in that area, has a high-income economy. 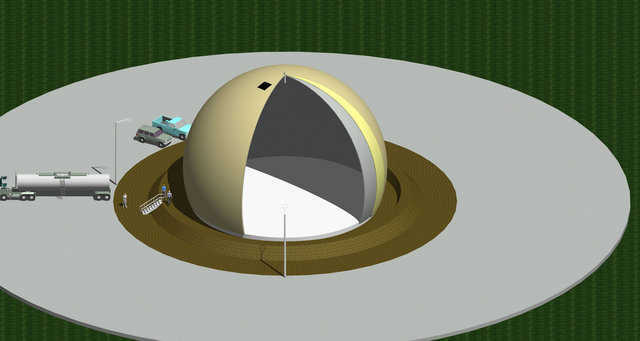 Jan Pregowski, chief executive of MCP, signed the contract for these Monolithic Domes last year, but due to a severe winter, MCP had to wait until now to inflate and start construction. 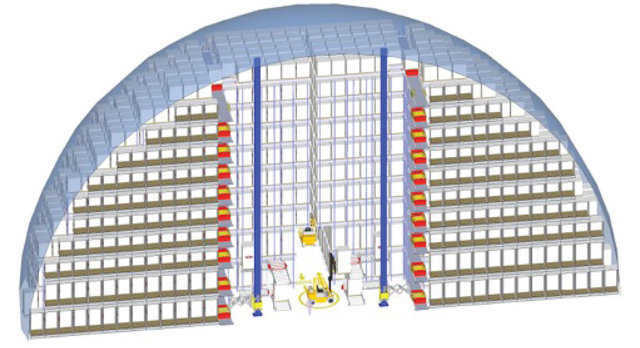 A Monolithic bulk storage facility involves cutting-edge technology in the design and construction of the structure and in the components used to move, load and unload the stored goods. Follow this link to information about the newest and best developments in this industry. 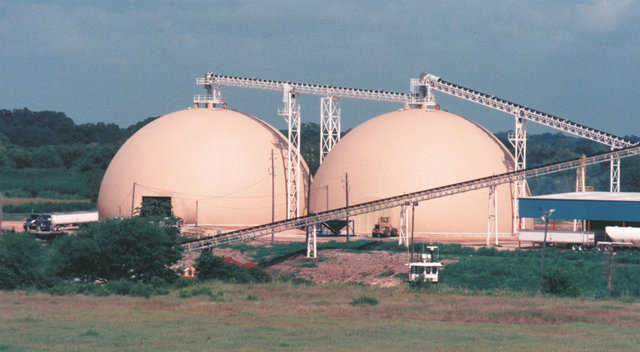 Monolithic Oil Tanks now are more competitive than ever. They are constructed of concrete, not steel. Consequently, the much higher price of steel and the use of high-strength, post tension cables now allow Monolithic Tanks to be less costly. 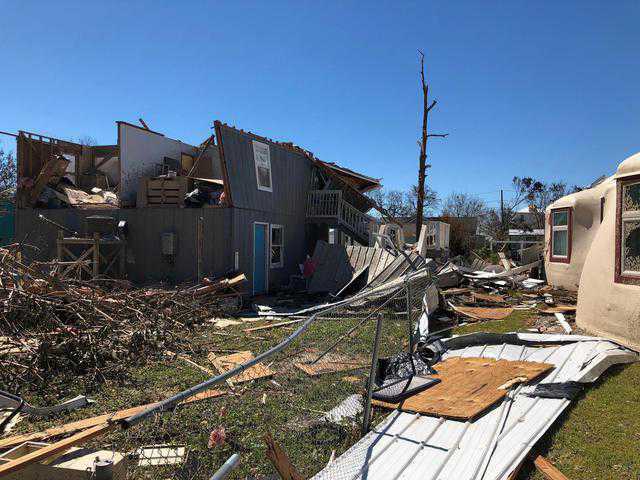 “The higher you go, the more susceptible a building is to hurricane or tornado damage,” said David South, president of Monolithic, at a discussion of the latest in warehouses, distribution centers and storage facilities. “That’s why the Monolithic Dome makes an ideal automated warehouse,” he added. 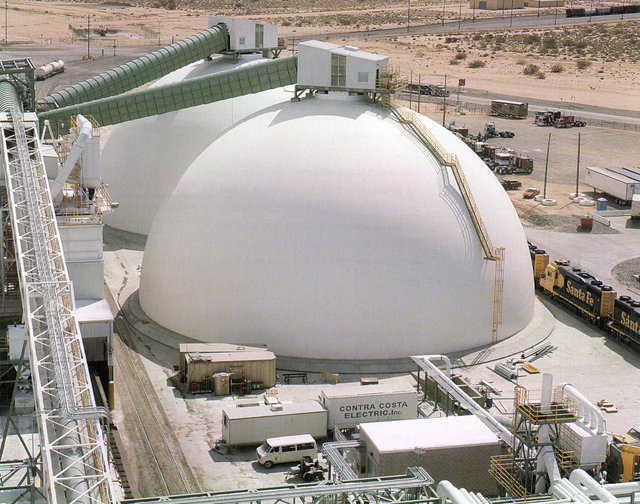 Monolithic Domes make the best salt storages. They are solid concrete on the inside. Concrete handles salt damage far better than just about any other building material. Since the fiercest hurricane on record to hit the U.S. blasted the Texas coast in 1900, Equalizer’s location certainly is in a hurricane zone. 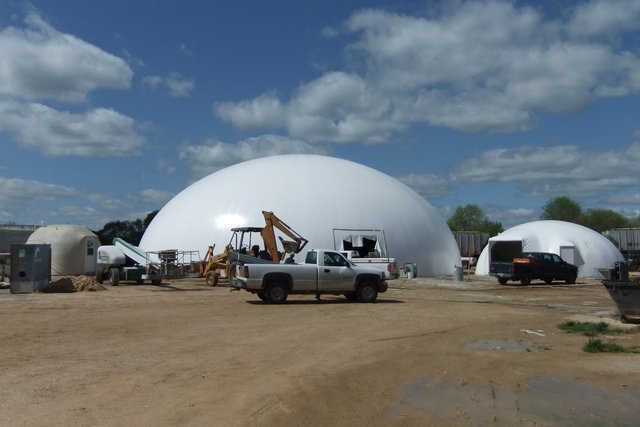 That hurricane-proneness was one of the main reasons Equalizer decided on Monolithic Domes for the storage of their two products: ammonium nitrate and diammonium phosphate. 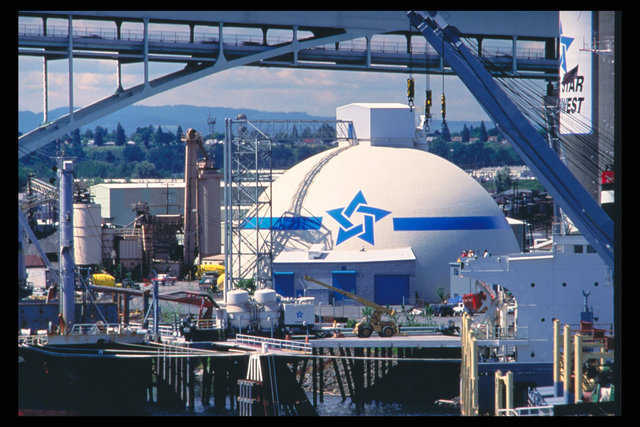 Monolithic Dome bulk storages have been constructed around the world to store chemicals, fertilizers, cement, sand, salt, feed, grains, aggregates, carbon, chips, seeds, peanuts, coke, blasting powder – and the list goes on. 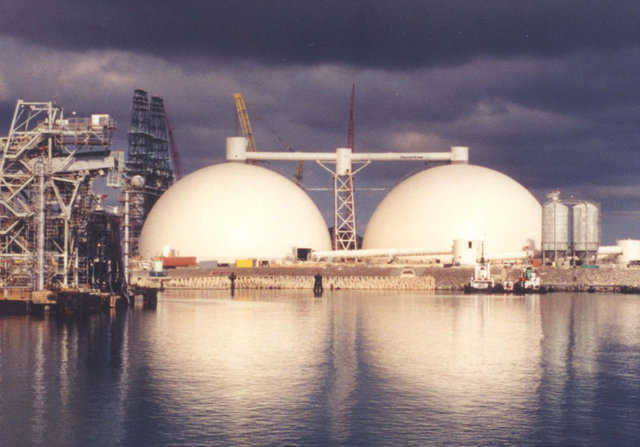 El Dorado Chemical Company now has two new Monolithic Domes. 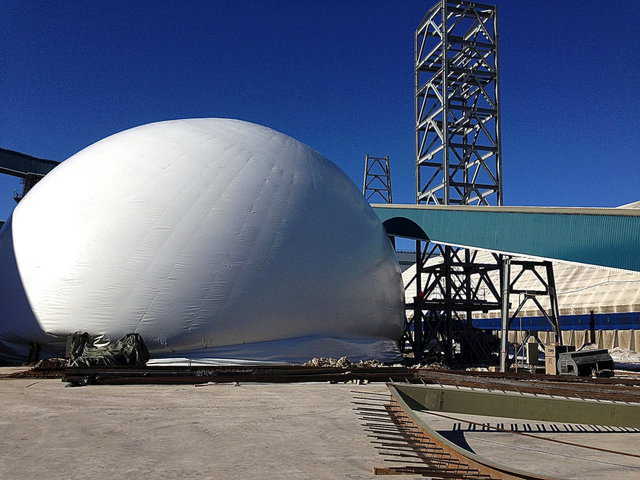 The smaller dome, that has a 40-foot diameter, will warehouse various bagged chemicals. 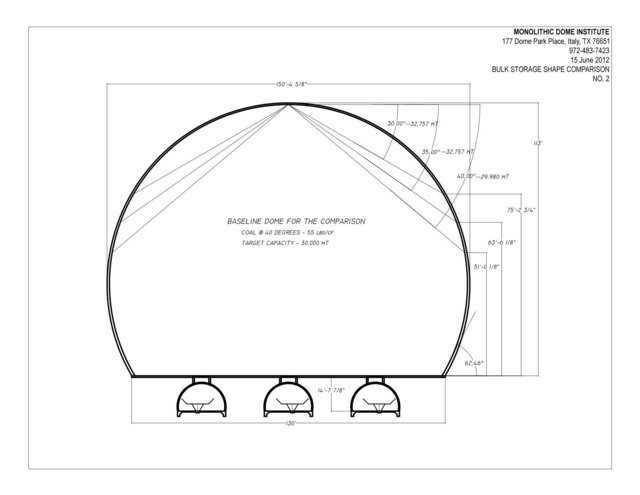 The larger dome has a 95-foot diameter, eight storage bins and state-of-the-art equipment for the blending of various fertilizers. A giant, metal, patio cover connects the two. 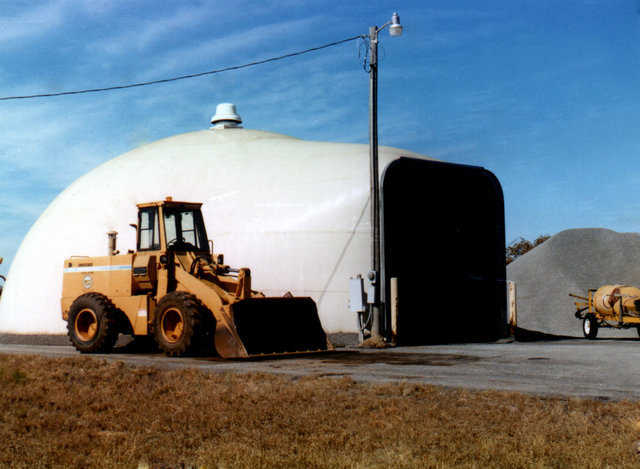 A Monolithic Dome makes an ideal fertilizer blend plant that mixes, packages, stores and distributes specialty chemicals for various agricultural purposes. 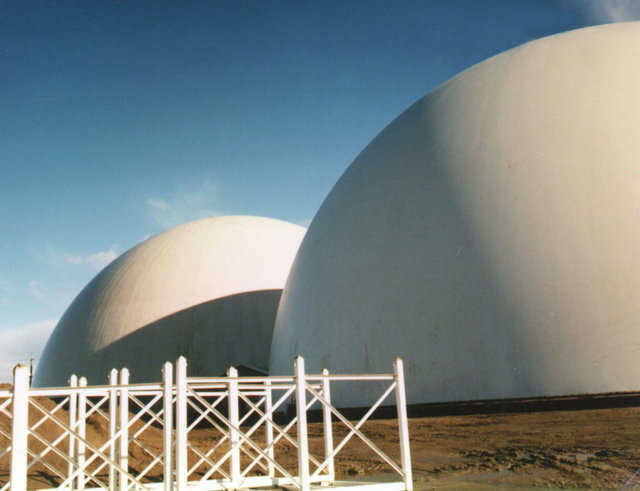 These domes contain many large bins used to store phosphorus, potash and nitrogen in various forms, as well as other micronutrients such as iron, chrome or zinc. From these ingredients, hundreds of different fertilizer formulas can be created. Bulk Materials is a term used for large quantities of similar material. 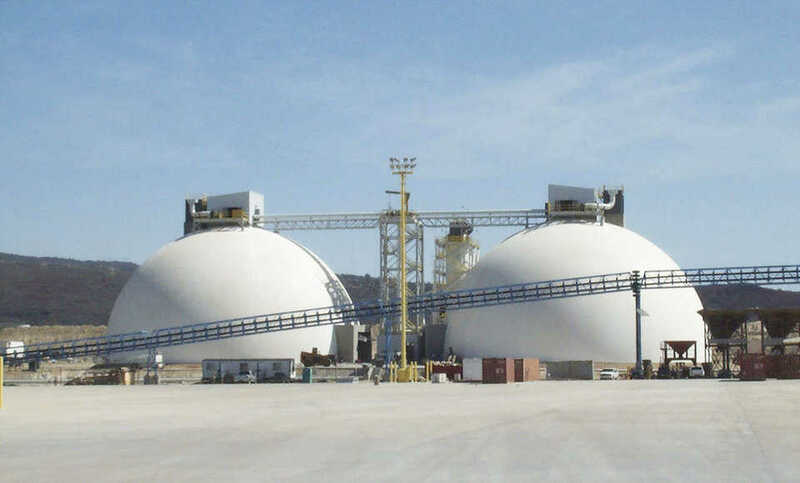 Bulk storage is the term for buildings that store bulk commodities such as cement, sand, frac sand, salt, fertilizer, feed, grains, aggregates, carbon, chips, seeds, peanuts, coke, blasting powder – and the list goes on. Capacities may vary from a few hundred tons to many thousand tons. 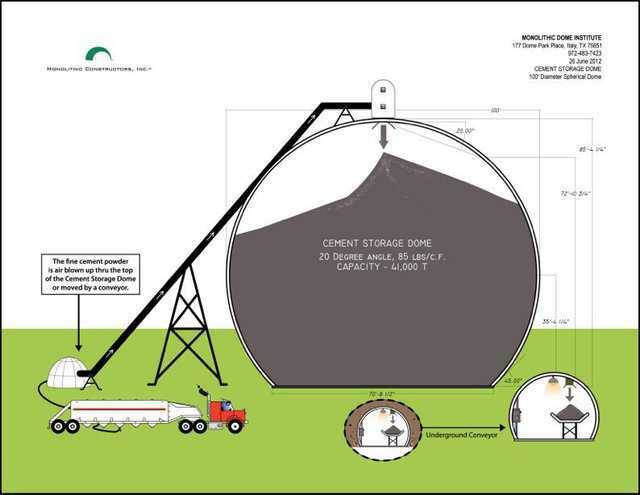 Generally, traditional bulk storages, such as grain silos, cement silos and vertical grain bins, are cylinders. Sometimes they are rectangular, but usually such storages are silo shapes. But the strength of a spherical shape beats both the cylindrical shape and the rectangular shape. In fact, the spherical shape is twice as strong as the cylindrical shape. Because it’s virtually identical to natural gas, methane’s role in our world’s economy is becoming increasingly necessary and important. 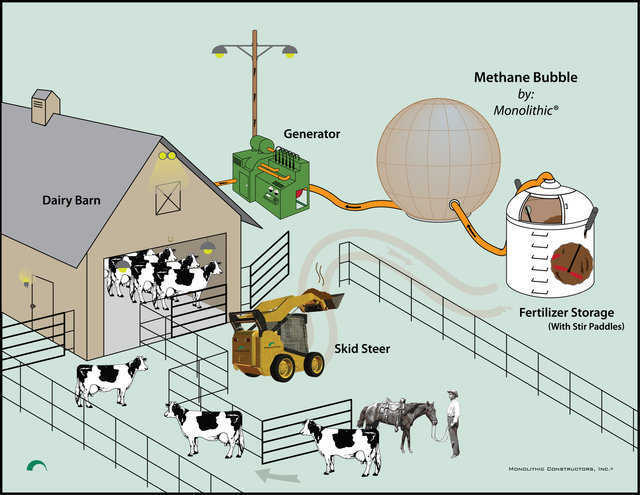 Methane can actually replace natural gas. 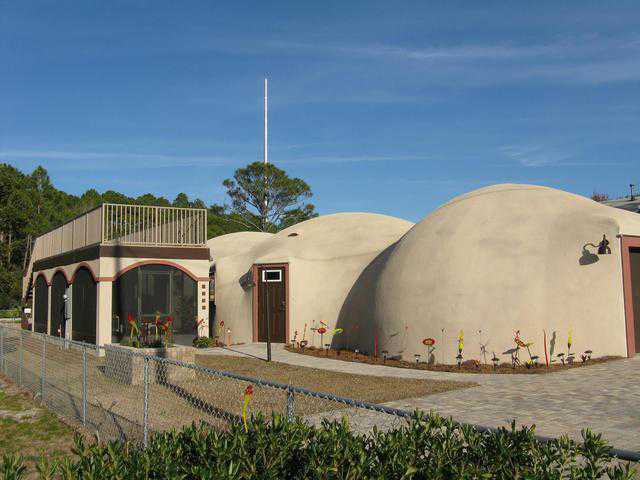 Monolithic Domes have been designed and constructed for cement storage for many years. 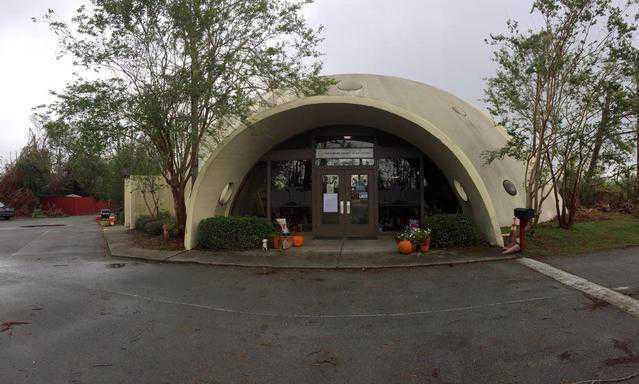 The dome imitates nature’s strongest shape: the egg. And shape is enormously valuable when building storages. Voca, Texas is one of those towns that you might have missed if you blinked while driving through on State Highway 71. The 2010 census counted just 126 residents in Voca. But while it’s small, it’s not so easily missed these days. 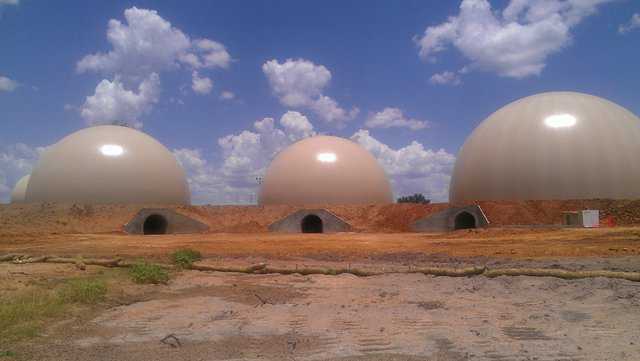 Voca now has three, new, very visible Monolithic Domes that Cadre, the largest single-line proppant plant in Texas, will use for storing frac-sand.